Annealed Aluminum Tubing, 10 ft. Length, 1/2" O.D., Natural, 100 psi Maximum. 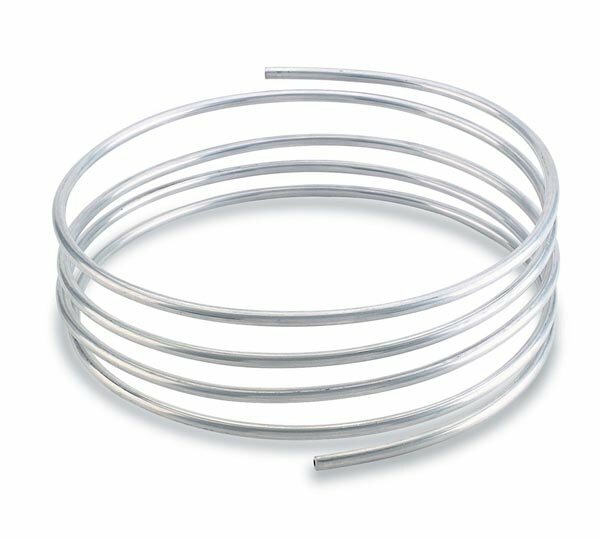 This aluminum tubing is for use in low pressure applications up to 100 PSI (Not For Use in Brake Lines). ANNEALED ALUMINUM TUBING is easily hand-formed to virtually any requirement. The tubing can be used with Earl's TUBE-MATE AUTO-FIT hose ends. It can be flared and used with Earl's 5818 tube nut and 5819 tube sleeve or an adapter can be welded onto the end(s) of the tube, or the ends can be beaded and used with Earl's ECON-O-FIT hose ends or with standard hose clamps. For clamping hose, tubing should be beaded.